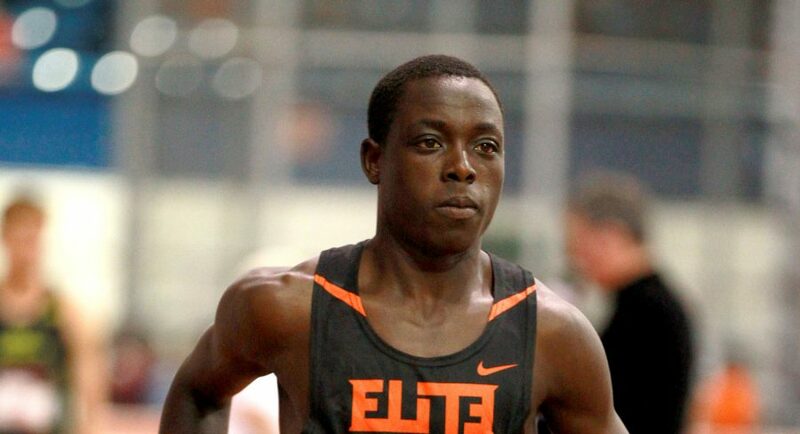 Edward Cheserek will be very busy at the 2017 NCAA D1 Indoor Track and Field Championships. The decorated Oregon senior is ranked first in the nation in the 5000m run, first in the mile, and second in the 3000m run; he’ll also anchor the Ducks’ 9th-ranked distance medley relay. It’s difficult for a 15-time NCAA champion to keep improving, but Cheserek outdid himself at the 2017 Boston University Last Chance Meet in February. There he ran the mile in 3:52.01, decimating his personal best by four seconds and achieving his first ever collegiate record. Charles Brown opened his 2016/17 indoor track season with a long jump win at the Arkansas Invitational. He won the event again at the Texas A&M Aggie Invitational, and took the high jump gold at the 2017 adidas Classic. Brown, a sophomore, joins a deep roster of jumpers at Texas Tech, including junior Trey Culver and freshman Justin Hall. He leaped his way to a Big 12 indoor title, putting up a total of 11 points for the Red Raiders. Brown will compete in the long, triple, and high jumps at the NCAA Championships. Keturah Orji isn’t new to winning. The University of Georgia junior has three NCAA triple jump titles under her belt, and she competed in the 2016 Olympic Games in Rio. This time around, Orji flew to her fifth SEC title, leaving meet, school, collegiate, and American triple jump records in her wake. Three of her jump attempts during the 2017 SEC Championships were top three all-time collegiate marks. Mostafa Hassan of Colorado State sits atop the D1 men’s shot put rankings by .83 meters–almost three feet. The junior has been shattering school records and racking up wins for the Rams all season. His only defeat came during the Mountain West Indoor Championships, where his 18.23m weight throw earned fourth place. But that same day, he snagged the shot put title in a stunning personal best of 21.30m (for reference, silver medalist Garrett Coalson of Air Force threw 17.50m). Karissa Schweizer is seeded third in the NCAA D1 Championship 5000m run, but don’t let that fool you. She snagged the D1 Cross Country title in a shocking upset, and rode the momentum into an undefeated 2016/17 indoor track season. The Missouri junior won both the mile and the 3000m run at the SEC Indoor Track Championships–not bad for someone who never earned a state title in high school. Jazmine Fray, a Texas A&M sophomore, burst out of obscurity and into the history books at the 2017 Clemson Tiger Paw Indoor Invitational, where she ran 2:00.69 for 800m, besting the runner-up by five seconds and breaking the 12-year-old collegiate record set by Nicole Cook. Fray took the 800m SEC title with ease. She enters the NCAA D1 Championships not only as the #1 seed in the 800m, but as a member of the Aggies’ top-seeded 4x400m relay team. James Peterson hails from New York City where he works in digital marketing by day and is a fitness fanatic by night. He is dedicated to a life of the gym and healthy eating. He also enjoys playing and watching basketball, where the Knicks constantly break his heart on the court.